Every parent knows how fast little feet grow and how important it is to get supportive, comfortable shoes for your little one! But it is also great to have FUN shoes for your little one that are both comfortable and supportive for growing feet and that is what ikiki Squeaky shoes are! These shoes feature fun animals on the shoes and they have a squeaker too - that can be shut off for quiet times or turned off when you need to know where your child is at all times! 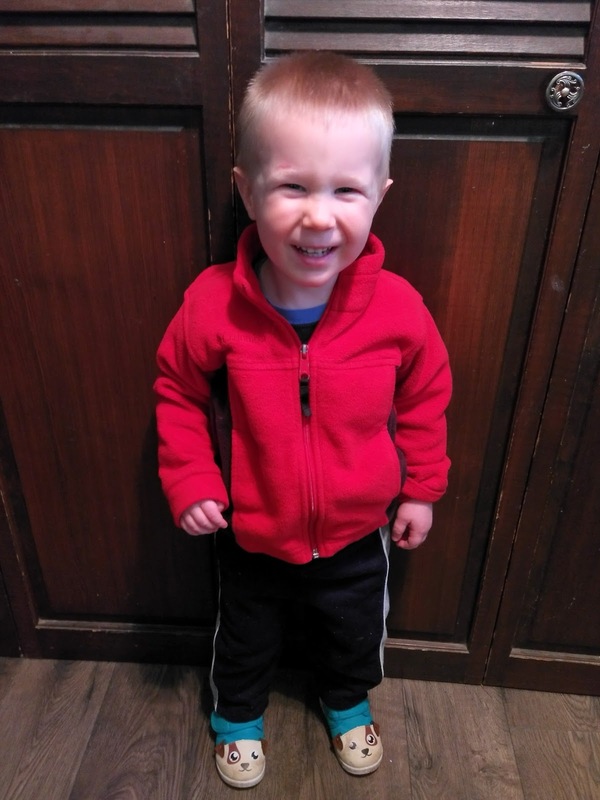 Plus, they've searched long and hard to find the best materials for a breathable, comfortable, and fun shoe for kids that will help them learn to walk. Squeaky shoes have been recommended by physical therapists and pediatricians to help toddlers learn to walk and reinforce good walking habits. That makes them perfect for crawlers learning to walk, toddlers learning to take proper heel-to-toe steps, or anyone who wants walking to be fun. My favorite feature of these shoes is their patented adjustable squeaker that can be turned on or off with the flip of a switch! We have owned squeaky shoes before but there is no way to turn them off! They soon get put in the "no wear" pile because nobody wants a squeaky child ALL the time! My son received the Mr. Barkles squeaky shoe from ikiki and he instantly got a HUGE grin on his face! He loves the dog face and I love how easy they are to put on and off! My 2 year old can even take them off himself! That is a plus when my hands are full! You can really tell the time and effort that went into the creation of these fun shoes! I know both my child and I love them and they are our go-to shoe every day! You can purchase ikiki Squeaky Shoes for $29.95 from their website.